Express your love with this personalized 2x3.5 inch mini wedding save the date square corner magnet! Simple, yet trendy, this mini wedding magnet can easily moisten memories and stir host of favorable emotions within any onlooker. A custom 2x3.5 inch mini wedding save the date square corner magnet can be send out to family and friends at least 3-5 months before the D-day. And couple can ensure complete participation because this magnet gets easily accepted by everyone and it grabs a prominent space over refrigerator doors. 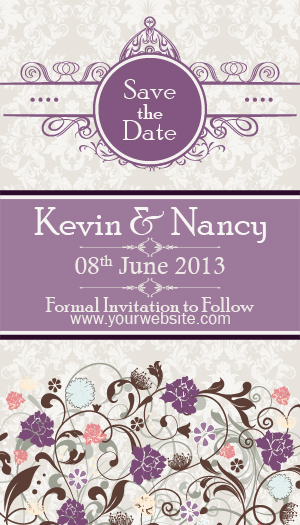 This mini wedding magnet is highly affordable and it is often retained as a memorabilia.